The Rev. Ned Bowersox celebrated the Thanksgiving Eucharist at St. Richard's in central Texas. His sermon was memorable for the 28 who braved our 65 degree weather (clear skies and no breeze). We gave thanks and prayed for a long list of our neighbors, partook of bread and wine and re-set our perspective on what it means to be thankful. And that one can realize just how to be thankful. I noticed only a couple of rarely seen faces among the reverently faithful. When Ned began to speak, I could see that he was reaching the congregation. You've noticed this phenomenon too I expect. All eyes followed him as he stood in the middle of the transept, conversationally clearing out any "faith cobwebs" we brought to church. Ned told us that he suffers from a condition called "forgetfulness." He said, "This condition causes me to pay more attention to who I am than to whose I am. Like the leper who thanked Jesus and was healed, we can thank God for making us his children and giving us everlasting life. When we give thanks for Jesus having died for our sins, we can begin to live a life that acknowledges we belong to him and to no one else." After the dismissal, I was clearing the credence table and I noticed that the congregation was still in the nave sharing the peace of the Lord with Ned and with each other. This went on for at least fifteen minutes. I heard them talking about the concept of thanking God for his having healed all of us for all time, and living into that constantly thankful notion. Could all present have suddenly and universally "gotten it?" Would we go out and start practicing the fundamental truth that thanksgiving for whose we are is more than just one day of prayer? Can we just remember that thanksgiving is an every day way of life? Interesting how a simple phrase turned upon itself can change our lives. Abstract: Thanksgiving morning many vergers were supporting a 10 AM service. Thanksgiving is .... What is it really? How can we be better at knowing the real meaning of Jesus' healing our souls, and being thankful for just that, and nothing else? How much attention should we give to who we are? Today's Verger's Voice condenses a very important sermon preached on November 27th to answer these questions. Shortly after being installed as a verger at St. Simon's Episcopal Church in Conyers, Georgia I attended my very first VGEC annual conference in Lakeland, Florida in 2012. I was a little overwhelmed but totally inspired! I knew this was for me and wanted to get more involved. In 2013 I attended the conference in Nashville, heard an announcement that committee volunteers were needed, and I jumped at the chance. I was led to the Communications and Technology Committee, chaired by newly elected President Scott Smith. It turns out that Scott had been doing MANY tasks by himself and, being the new leader of our entire group, he just wasn't going to have time to do it all. Yes, even Scott! So he assigned me the task of editing headshots submitted by members for our brand new VGEC online directory. Now, to be honest, when he first mentioned this my selfish reaction was, "Really? I thought I would get something a little more glamorous (and challenging) than that!" Then I remembered... I am a verger... you take care of ALL THE DETAILS, no matter how large or small. So after a lengthy long-distance training session with Scott, I began my esteemed editing duties. First are the e-mails. "Please submit your headshot!" Every member who has NOT uploaded a headshot receives this e-mail on a regular basis until we get your photo (or until you opt out). It is signed by me but computer generated. I realize there are vergers out there that have never met me but must look forward to hearing from me on a monthly basis. Otherwise they would submit that headshot and end the e-mail blasts. Well, I get a copy of all of those e-mails flooding into my inbox too. I look forward to the day that I only get those e-mails for brand new members! But who knew how much fun it would be. Without even trying, you guys often crack me up! Our vergers submit some real doozies and then I am expected to work miracles. Selfies taken in the most awkward ways! Selfies taken with the camera in front of the face! Full body shots from so far away I can barely see the head! A headshot but wearing a hat or a cap that covers half of the face! See the not-so-good photo of me at work above? That is too much like what I often have to work with. And then thee is the regalia... Most vergers want their picture to be in full verger caparison when we only want, and need, a headshot. So when a photo is uploaded I set forth into Photobucket, cropping and lopping off the chimere, the virge, the body, until it's just the head, as in, "headshot." We don't mean to cheat you folks but we just don't have room for more. Now I do get a good number of beautiful headshots, including some professionally produced. Even those might need a little "warmth" and some "squaring off." I can't really get rid of the potted plant lurking just behind you but I can make it look even more professional. Then I upload the edited headshot into the directory and send you a notification e-mail. I get a copy of that too. But those make me happy because I know that I have helped to make our directory more complete and, possibly, made you even better looking than you already were. If you want to see the whole bunch that we currently have online, click HERE for a one page listing of all VGEC headshots. As of this writing we have 49% of our active members with headshots. That's not bad but we can do a lot better! The headshots were used for the conference directory in Burlington this year. It was fantastic to see an overwhelming majority of attendees have a photo included. 100% in St. Louis is our goal! To upload a new or updated headshot, all you have to do is go to memberhsip.vergers.org and login, click on "My Information" and click the link under your headshot. It's very simple! You can also email a headshot to [email protected] and I will upload it for you. And to the young verger who keeps submitting photos of movie characters... I am on to you! Abstract: We want your face included in the VGEC Online Directory. Here's the guy who is taking care of your face. He has complete license to edit, so you'd do well to make his job easy. Sure, you say, send him a pic taken 40 years ago. It won't make any difference. See what he has to say about that in this week's Verger's Voice blog. Don't worry, if you've not yet complied with his headshot request, he'll continue to be your most faithful (persistent) fan, just hoping and praying that tomorrow's email contains your picture, to complete our priceless collection. Fr. Corkern takes his role within the VGEC very seriously. He is our chaplain. We all know that, in our training, we learn that our functionality during our participation in liturgy under our care requires that we "keep our heads in the game." Often, we're not able to worship as profoundly as we might were we not "on duty." Clergy members have the same issue when they are conducting services. That much, in common, leads to Fr. Corkern's consideration of vergers as ordinary humans, who may not be getting "fed of Christ" in as satisfying or complete doses as we may when sitting in the congregation. So what could we be seeking that Matthew might help us with right now? Could we be having a difficult time understanding our rector's intentions in liturgy? Do we have continued difficulty communicating with our eucharistic ministers or acolytes? Are any of us looking for a more active role in the church? Is the question of possibly seeking ordination something we've thought about? Have we thought about withdrawing from our role as verger? Do we wonder about the “why we do what we do” nature of Episcopal liturgy? We have a real chaplain. He is a clergyman who assists all of us by providing pastoral, spiritual and emotional support. On a recent phone call, he commented that, “I pray daily for the verger ministry at large and I support clergy and vergers who may have things to resolve between themselves. I want to be in relationships of prayerful consideration of human events like birth, death, minor and major illness. This is an extended ministry which allows me to maintain a presence for vergers and clergy universally. I serve the vergers who are working so hard to serve others every day. Let everyone know that I will pray with anyone about whatever current events may be present in their lives. I intend that my chaplaincy be real to anyone who needs me. I am present by email at [email protected] or [email protected], or call me at 908-277-1914. This office number links to my cell phone, so I won't miss a call." As I said earlier, "We have a real chaplain!" Abstract: Do any of us think that we're not being heard in our own parish church? Have you wondered about joining the priesthood? Do you feel that you're not getting enough out of your worship experience? Who could we talk with about these or other issues commonly associated with those who support liturgical logistics as we do every week? Maybe we could talk with a priest who has a wide understanding of vergers and their ministry? Is there someone who has a significant knowledge of the history of vergers in the Anglican church and is open to our conversations? Our blog story this week strives to answer many of these questions. I arrived at Christ Church Cathedral in Nashville on October 3, 2013, to start my coverage of the VGEC 25th Anniversary Conference. The first person I met was Craige DeMoss. Craige, verger at Grace Church, Spring Hill, was so engaged welcoming visitors and finalizing arrangements that he barely finished one task before the next arrival or question to be answered received his very concentrated attention. He and Scott Smith had planned the event so well that they were like a professional shortstop and second baseman getting the 120th double play of the season: polished, positive, and professional. He impressed me as a very selfless man, simply following through on what he had given his word that he would do. I didn't know until later he was very ill during that week. Craige was diagnosed during the summer prior to the conference with a rare and progressive hardening of the lungs. The prognosis was not good. But according to everyone who worked on the conference, this was not about to slow Craige down. And it certainly did not! His effort last October made a big difference in the quality of the entire conference. I watched his tireless work in the details and the details of the details. It nearly wore me out just observing his energetic dedication to providing the best conference experience for all who attended. The new Tennessee chapter of the VGEC met for its formative business meeting on October 5, 2013, during the conference, and as a first order of business elected a slate of officers with Craige as it's first president. What a great choice! Once again, although in declining health, he made a difference by ensuring the chapter web page was quickly established and by providing a functional organizational structure to insure the success of the Tennessee chapter long after his term of office. VGEC President Scott Smith notified me of a subsequent meeting of the Diocese of Tennessee chapter early in February 2014, saying, "We are having a meeting today of the Diocese of Tennessee Chapter - the first meeting we've really had since the conference when we had what seemed like about 500 meetings! But we are working to make and fund a Diocesan banner, and we just uploaded a short video on the VergerTV YouTube channel about the making of the banner." The Tennessee Chapter enjoys having projects and events to build fellowship between the vergers of the diocese. According to Craige, that's the only mission of the chapter. The diocesan banner was a project Craige immediately recognized as one perfectly suited for the chapter. The design was created by several volunteers and staff from the diocese and was beautifully crafted and brought to life by the artisans of Trevor Floyd and Company. The banner was commissioned and blessed by the Rt. Rev. John C. Bauerschmidt, Bishop of Tennessee, at the 2014 Blessing of Liturgical Ministries at Christ Church Cathedral on Saturday, March 29, 2014. 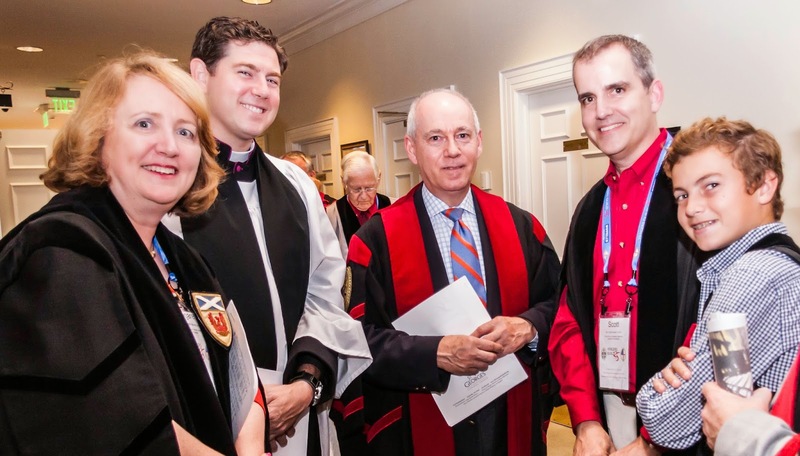 The BoLM (as the vergers lovingly call it) is an annual event that the Tennessee vergers have helped to plan for the past four years. On August 21, 2014, the chapter met to tour the brand new Diocesan House of the Diocese of Tennessee and to thank the Chaplain of the Tennessee Chapter, Fr. Jody Howard, rector of St. Joseph of Arimathea Episcopal Church in Hendersonville, Tennessee, who has played a key roll in the success of the Blessing of Liturgical Ministries over several years. During this meeting, Craige made a motion that Cathy Kennedy, verger at Church of the Good Shepherd, Brentwood, Tennessee, become the second president of the VGEC Tennessee Chapter. The motion carried. Craige's condition has worsened since August but he continues to have an amazingly positive attitude. Craige told Scott at lunch not long ago that, "...when you know where you are going, you just can't be scared. We Christians know exactly where we are going and I can't wait to get there!" Abstract: How would you handle the responsibility of heading up a new VGEC Chapter? Would you even seek that sort of responsibility? Could you maintain your energy level long enough to see the project through? 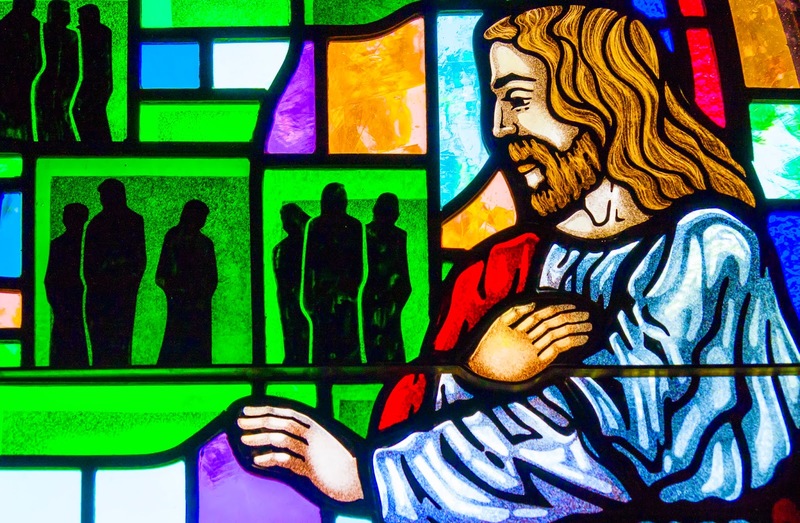 Read in this week's Verger's Voice how one verger, in Tennessee, took on such a challenge and is indeed seeing it through with determination and dignity.